After a slow start and a two-week extension, today is the final day to vote in British Columbia’s electoral referendum. The mail-in ballot will allow BC residents to decide how the provincial elections are conducted. Either British Columbia will maintain its first-past-the-post (FPTP) voting system or move to some form of proportional representation. 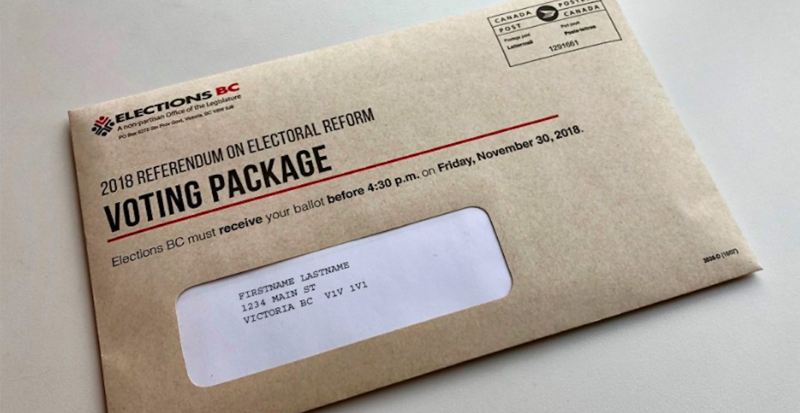 As of earlier this morning, Elections BC had returned approximately 41% of packages back from registered voters. out of a total of 3,297,395 voters in the province. If you haven’t been able to cast your ballot until now, there’s still hope — voting packages will be accepted until 4:30 pm, today. In order to do so, you’ll have to drop off your completed package in person at a Referendum Service Office or Service BC Centre. A full list of locations across British Columbia can be found online. For everything you need to know about BC’s electoral referendum and your voting options, click here.